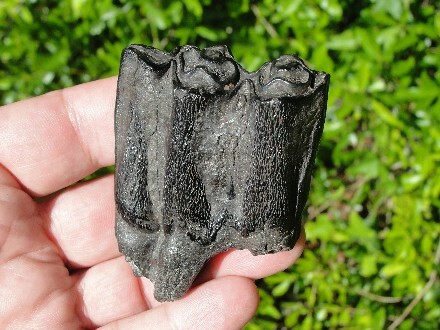 This is an exceptionally well preserved Bison Tooth Molar Fossil. 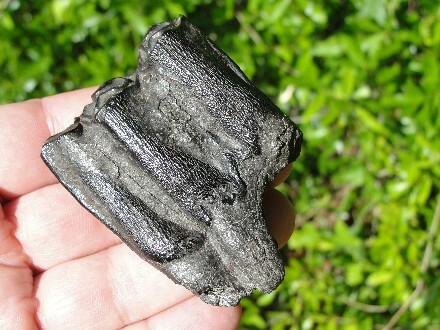 The tooth is a jet black in color with little natural wear. Rock-solid, well mineralized and nearly perfect. 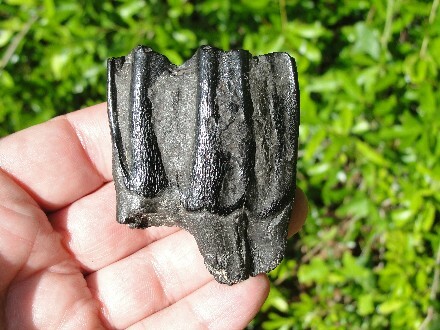 I believe this tooth to be Latifrons, but might be Antiquus. Unlike the rest of the U.S., Prehistoric Bison are less common in Florida and usually older in age. 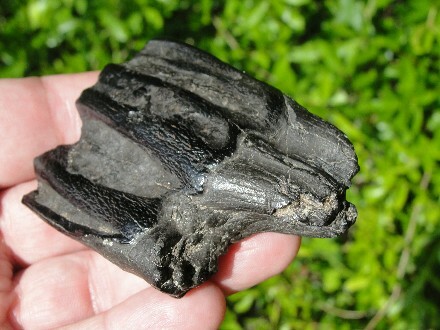 This is a Top-Notch Fossil Tooth. The tooth has no repairs or restorations. Actual Specimen Pictured & Guaranteed Authentic. Bison Latifrons is an extinct Bison that had a huge horn span measuring 7 to 8 feet (2.5M) long tip to tip. The Florida fossil vertebrate giant measured 8.5 feet (2.5M) at the shoulder and survived through the last Ice Age. This Giant Prehistoric Buffalo appeared, in Florida, during the middle Pleistocene period about 500,000 years ago. From the Bovidae Family, of even toed Artiodactyls, these long-horned Bison went extinct 21,000-30,000 years ago. This large wide-horned Bison was the largest of the North American species, of Bison. The Ice Age Mammal looked similar to modern Bison, but was much larger with a huge set of horns. The males were larger with bigger horns and the females were smaller with more slender horns. 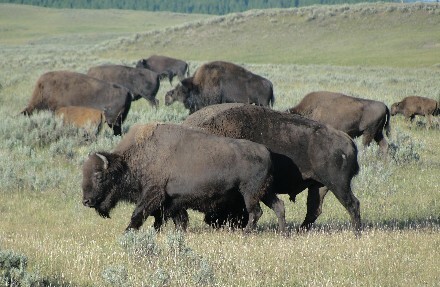 All of the Bison were grass grazers. 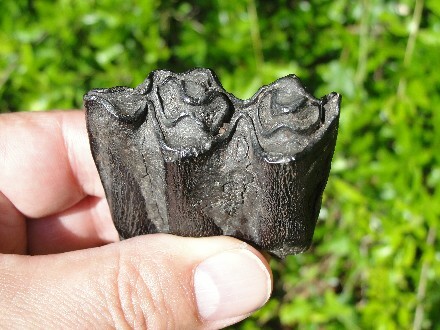 Another extinct Bison, from the Florida fossil record, was Bison Antiquus. Only the modern Bison Bison remains today. The teeth of Latifrons and Antiquus can not be identified separately from each other, but the main differences are in the horn point spread. 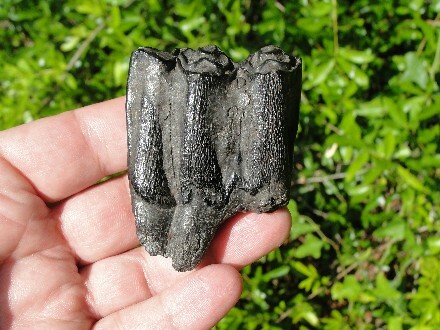 Several fossil skulls of this species have been discovered, in the Bradenton Site, in Manatee County, Florida and also, the Haile 8A Site, in Alachua County, and the Daytona Beach Site, in Volusia County, Florida.